Posted on Mon, Mar 26, 2012 : 5:25 a.m. Here's a confession: Ann Arbor was the town that made me love film. You might recognize the story: I hit the ground running off my high school graduation stage to come to Ann Arbor to do all those things new college students fill their time with. Fiddling with identity, angsting over your future, attending a party or 30 and pondering a half-dozen potential majors while taking every "Intro To" class that could fit into a schedu—provided they all started sometime after 12 o'clock. I remember starting sure I was going to study computer science, then it was creative writing, then philosophy, then math, then literature, then history—I flirted with a degree in astronomy somewhere in there as well. Then I took a class on Central European Cinema, which at the time I believe also managed to fulfill one of the ancillary requirements to graduate with an LS&A degree. And, hey, it was a class on movies. Over the course of a single semester, I was introduced to film the likes of which I had never seen, this amazingly expressive artform with heretofore hidden potential for personal and artistic expression. I was introduced to this whole field of study and way of talking about and experiencing movies that changed the way I thought about art. So then I studied film. And that's when a whole new part of Ann Arbor opened up to me. There was this whole area of the city where the cultural skyline was just dominated by this glorious old movie palace called the Michigan Theater. On Liberty Street alone there was the State Theater and the Michigan and coffee shops aplenty to go to afterward to decode, discuss and decompress. And then once a year, downtown Ann Arbor changed. It became this brilliant cinescape of experimental films and boundary-breaking ideas. As a student of film, there was this incredible opportunity to walk to a place 5 or 10 minutes away from your dorm and from classes you probably shouldn't be skipping to bask in a wave of the avant garde. I would walk away sometimes confounded, sometimes ecstatic, often enlightened, bewildered and inspired. But always bettered and having expanded my horizons just a little bit more. This is why the Ann Arbor Film Festival matters. It is an institution that helped shape this cinephile and open one mind to new ideas, artforms and modes of expression and it's been doing the same for audiences and movie lovers every year in Ann Arbor since 1963. 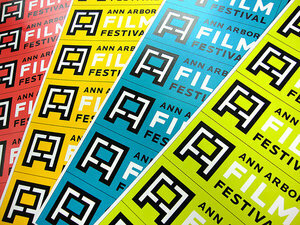 This year the Ann Arbor Film Festival turns 50. For its golden anniversary, it's bringing more than 233 experimental and documentary films and over 100 filmmakers, curators and artists to our town. There's going to be an Academy-supported screening of 30 Ann Arbor Film Festival screened films that have influenced the cinema globally and ground-breaking work from film movements around the world. There's an energy around Ann Arbor when the festival is here. This year there will be art installations to coincide with the 50th all around the downtown area. Local residents host visiting filmmakers in their houses, pick them up from the airport and show them around the city. The film festival matters because it gives a diverse new audience a seat on the forefront of experimental film and gives those movies a chance to be seen like rarely before. Experimental film has an incredible ability to reframe the world that we think we know intimately and to show us new sights, new experiences and new heights that we had never imagined. The film festival is like six days walking through a modern art gallery filled with the products of living, working artists and filmmakers. And you get to rub shoulders with them and with others who are experiencing, loving, confronting and understanding a whole new world of the movies. And it's right here in Ann Arbor. And it's all this week.